Great walking score!! 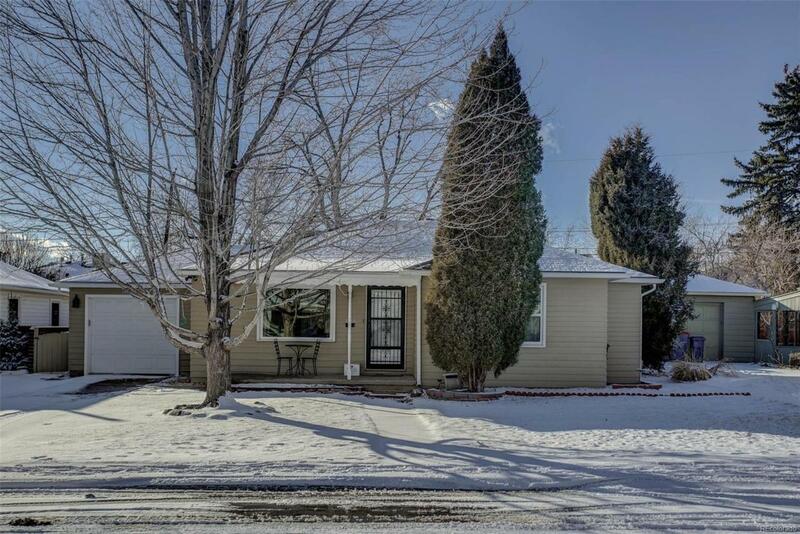 This charming bungalow in Edgewater is nestled on a quiet, tree-lined street that is city close. Beautifully updated throughout, this move-in ready 3-bedroom, 2-bathroom home is the one youve been waiting for. You will love the open concept layout with a designer kitchen featuring recycled glass solid surface counters, custom cabinetry and gorgeous hardwood floors. The living room is large with vaulted ceilings featuring rustic, railroad tie beams and a wood burning fireplace.The bedrooms are all nicely sized on one level with the kids rooms far enough away from the kitchen and living room to not disturb them when entertaining! The home also features a formal living room, dining area and second bathroom with a laundry area. The yard is private, fully fenced and perfect for entertaining. A large one-car garage is attached to the home and offers plenty of storage space.